Plywood is the most preferred choice of material by every home owner when it comes to making furniture for their home interiors. Plywood is a standard that is easily available at any local shop. Nonetheless, there are a few alternatives to plywood manufactured since 1996. This was especially after the law passed by Government against wood cutting and forest cutting. This resulted in shutting down of plywood making factories in few regions. To meet the needs of growing population then, alternatives to plywood were introduced. These alternatives include MDF, particle board and solid wood. There are further variations to particle board and MDF viz. 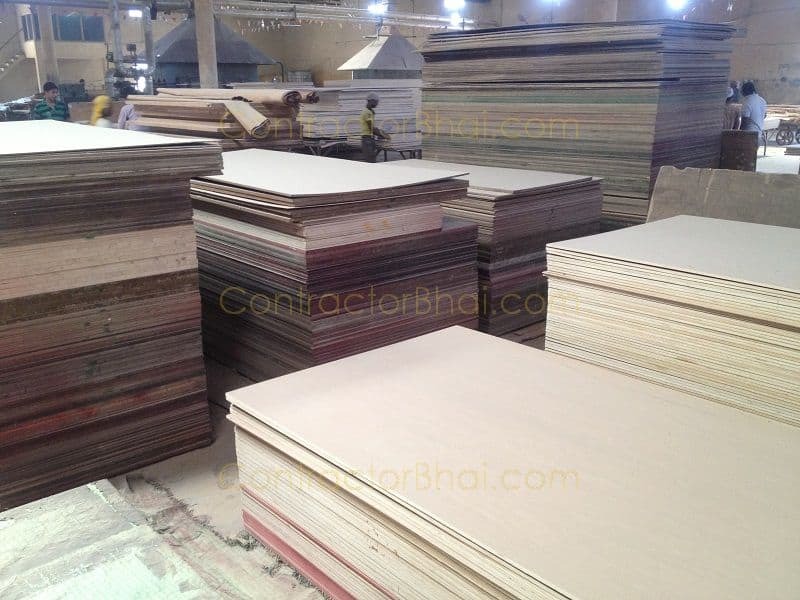 prelam particle board, laminated particle board, colored particle board, new wood MDF, etc.These alternatives to plywood are quite popularly used for ready furniture. Let’s have a brief look at these terms MDF and particle board. 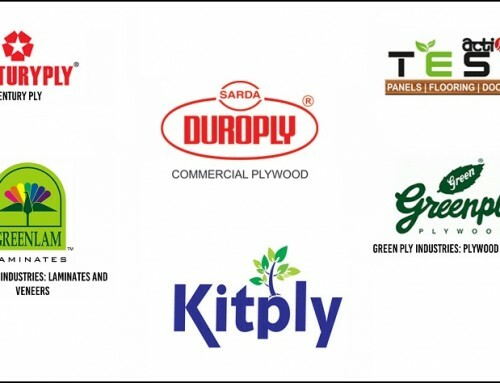 MDF is medium density fiberboard which is a newer type of engineered wood product. MDF boards are made from very small fibers of wood firmly glued together to form a hard surface. Since it is made from fibers, it is not as strong as plywood, but surely looks quite attractive due to the smooth laminated finish given. 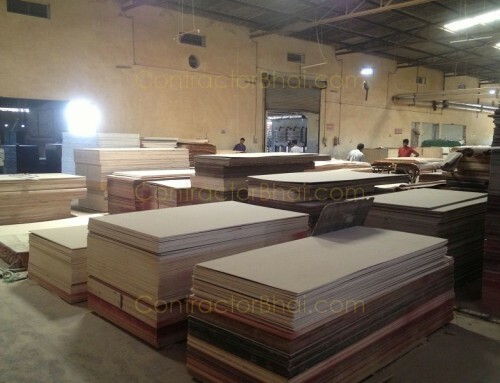 MDF boards are usually pre-laminated at time of its manufacturing. Well, on other hand, most plywood furniture such as TV units, cabinets, tables, beds, etc. are made by local carpenters using plywood sheets. These furniture’s are then overlaid with laminates or veneers to decorate the plywood. Today much of big offices furniture like desktops and cubicles are made of either MDF or particle board. Only a few higher post rooms, desktops would be made of plywood. This is because MDF and particle board furniture are quite cost-effective than plywood. Imagine doing up entire office with plywood furniture would turn out to be so very expensive. There are other varieties of fiber boards include LDF i.e. Low-density fiberboard’s and HDF i.e. High-density fiberboard’s too. If you have passed by a furniture show room in past few years, there are good chances for you to have seen furniture made form particle board. Well, particle board furniture is very weak as compared to plywood or say MDF too and therefore it’s the cheapest of all. Infact some shopkeepers themselves say that this species product will not last for more than 3-4 years and suggest to opt for plywood furniture. Lastly you have solid wood, which I can say is the best alternative to plywood, however, it costs a lot. Solid wood is something not every carpenter will work with just like plywood. You may get to see solid wood furniture in reputed shops, or big showrooms only. 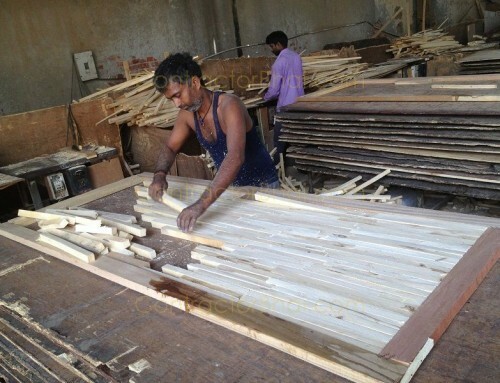 Teak wood is the most common variety of Solid wood used in India. In this modern world you have loads of companies offering ready-made furniture like TV units, wardrobes, tables, cabinets and many more. Well I would say,ready-made furniture is best option for those who are looking for temporary basis or let’s say who are wanting furniture on urgent basis. If you notice, ready-made furniture have this typical shine given to it. Now look at a furniture that is made of plywood. This product will not have shine. You see the difference. 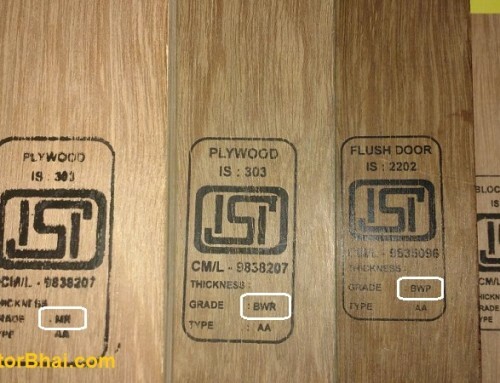 Original plywood or any product will have natural luster to it. It needs additional polish or shine to be given like ready-made furniture. Durability wise too if you see, ready-made furniture will chip easily or laminate may come apart sooner than furniture made form plywood by carpenter. Also the weight that plywood furniture can withstand, a ready-made furniture will not be able to. 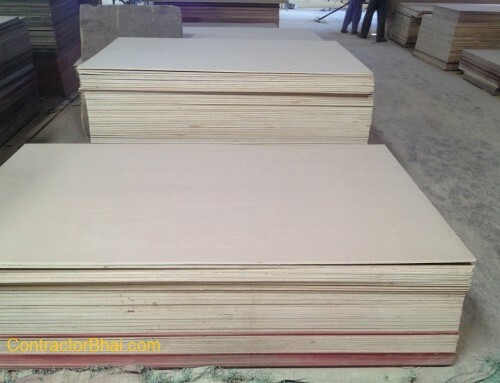 Another important feature of plywood is that it can withstand some amount of water contact whereas an MDF and Particle board furniture are easily affected by water contact. Ready-made furniture is quite popularly accepted outside India due to lack of time and patience too. They usually have “use and throw or scrape” concept. Whereas in India people often look for durability and want to have a product especially furniture to be used to minimum of 10-15 years. Infact formerly in India, kings and maharajas had furniture passed on for generation and generations. At that time furniture was made of solid wood which actually could be used for many many years. There are other alternatives too introduced in market but nothing can beat the durability, strength and appearance a Plywood product can deliver. Sir, Can you suggest me the lightest plywood? and do you keep it for selling purpose?